← May edition out now! Today is local election day. There are three Chippy seats on West Oxfordshire District CouncilWest Oxfordshire District Council, each one being up for re-election in turn. This year, Patrick McHugh (Conservative), who holds one of those seats, is up for re-election. Standing against McHugh, for Labour and Co-operative, is Rob Evans. Information about both candidates is on page 2 of the current print edition of Chippy News. WODC has the prime responsibility for such issues as local planning, housing, refuse collection, and so on – so your vote could make a difference in how these issues are dealt with. 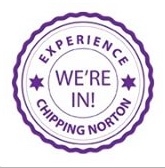 Voting for this Chippy seat will take place at the Town Hall from 7am until 10pm. This entry was posted in news and tagged elections, West Oxfordshire District Council, WODC. Bookmark the permalink.